Leapfunder’s Round Table Session at Amsterdam Capital Week was held at rent24, a coworking and coliving provider, which offers the possibility to connect with like-minded people. Starting from solo startup entrepreneurs to established companies with big teams, rent24 enables all the advantages of a sharing community. 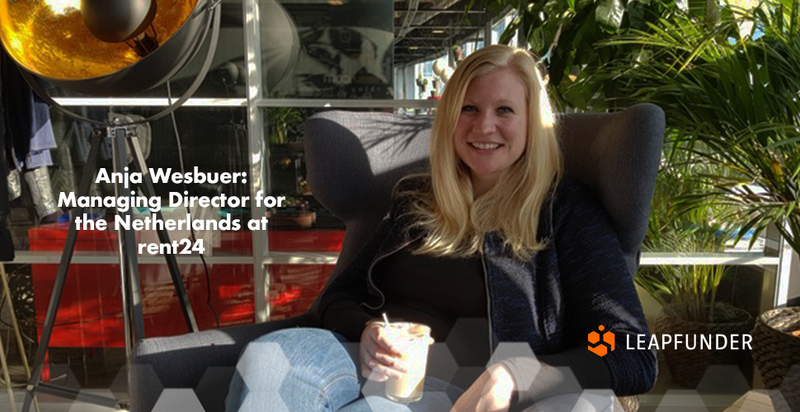 We talked to Anja Wesbuer, the Managing Director for the Netherlands, whose goal is to create a community of Netherlands-based startups and scaleups, entrepreneurs, corporate innovators and investors that will help each other grow their businesses. 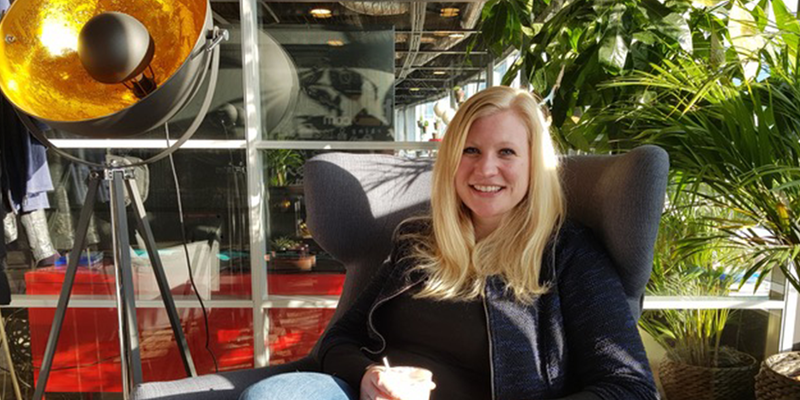 Find out more about her background, why rent24 chose to partner up with Leapfunder and what she predicts for the Dutch startup ecosystem. 1. Hi Anja, thank you for agreeing to do the interview. Could you tell us a bit about your background and your role in the Dutch startup scene? Thanks for having me, I am happy to share my story! I am from Germany originally and I have been living in Amsterdam for 8 years now. I came to the Netherlands to study, fell in love with the country and its people and simply never left. I have been active in the Dutch startup scene for 4 years. 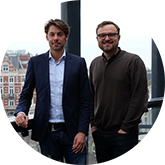 I joined StartupDelta during their first months when Neelie Kroes was setting up her team and starting to put the Netherlands on the map as a startup hub. Then I worked for the City of Amsterdam, building and managing the StartupAmsterdam Corporate Network, connecting innovation managers with startups and ecosystem initiatives. Now I am the Managing Director of rent24 in the Netherlands! 2. Tell us about rent24 and your role there. I am responsible for leading the team and further expansion of rent24 in the Netherlands. rent24 is one of Europe’s leading coworking and coliving spaces. We are building technology hubs around the world and a strong community of entrepreneurs, startups, corporates, investors and innovators around these technologies. Two of the hubs are in Amsterdam: One is the Bridge Building at Amsterdam West, a community of around 200 members with a focus on e-commerce and MAD-tech. Team Academy moved in most recently and we are excited to have so much talent in the house! Our second location is at Magna Plaza in the city centre, where we are building a food and retail community on the third floor. We are also working on a food hall on the second floor, which startups can use as a living lab to test their products. 3. Leapfunder hosted a Round Table Session at rent24 last week. Why did rent24 choose to partner with us? Thanks again, I think it was a great success! We love to collaborate with initiatives that add value to our community. With the Round Table Sessions, Leapfunder makes connections with investors and at the same time provides insights for startups on how to improve their investor pitch (deck). I heard enthusiastic reactions from our members that participated. We are happy that Rutger and Tienko have joined our community and look forward to more great events like this one! 4. What do you predict for the Dutch startup ecosystem in the near future? What are the challenges the startup ecosystem is facing? What are your plans, what will you focus on? In my opinion, getting startups ready for funding and then connecting them with the right investors is one of the biggest challenges. Again – happy to have Leapfunder on board to help conquer this! I believe that another challenge for many homegrown startups is scaling abroad. rent24 is ready to take on this one, as we are growing internationally very quickly as well! We started in 2016 in Berlin and now we already have 41 locations in 8 different countries. When you join our community in any of these cities, you can work at all our locations and are instantly connected to like-minded entrepreneurs and our local and global network. Thanks for the interview, Anja! We wish you and rent24 the best of luck.